I believe this cake used the modified Wooley recipe in the eGullet chocolate cake thread. 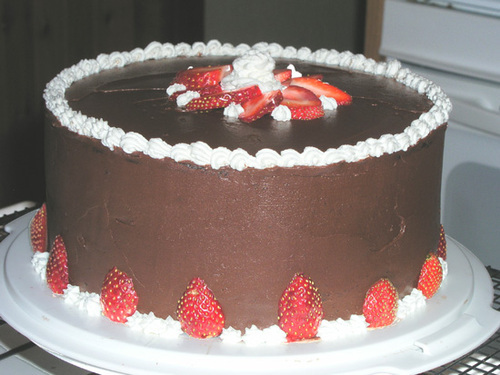 I don't know why I used strawberries to decorate it - there isn't anything strawberry about it. I guess that's just what I had on hand.